The JSE tracked other global markets on higher on Friday as the risk-on sentiment persisted. The bullish sentiment was also supported by optimism over the potential end to the trade war between the USA and China, after US Treasury officials were quoted as advocating for the removal of tariffs. Asian markets rocketed on the back of this news with the Shanghai Composite Index climbing 1.82% while the Hang Seng added 1.25%. In Japan, the Nikkei gained 1.29%. The rand traded relatively flat earlier, but it slipped to a session low of R13.84/$ as the greenback advanced. At 17.00 CAT, the local currency was trading 0.59% weaker at R13.80/$. 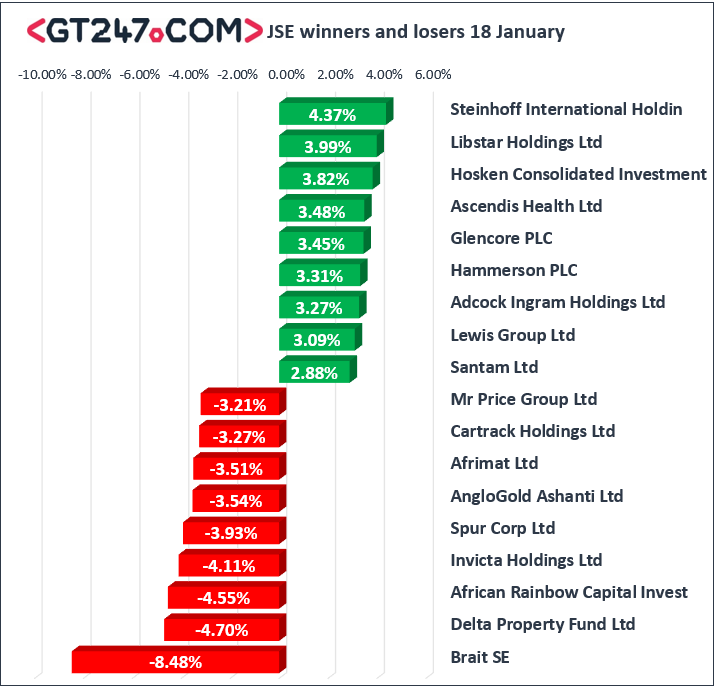 On the JSE, momentum was led by a minor recovery in some of the retailers that slumped on Thursday as well as the continued positive trend in miners. Sibanye Stillwater [JSE:SGL] closed amongst the day’s biggest gainers as it added 2.4% to close at R10.24, while Glencore [JSE:GLN] closed 3.45% firmer at R53.31. Diversified miner, Anglo American PLC [JSE:AGL] added 1.63% to close at R323.03, while its sector peer, BHP Group [JSE:BHP] firmed by 1.82% to R289.71. Luxury goods retailer, Richemont [JSE:CFR] closed at R94.53 after gaining 2.01%. 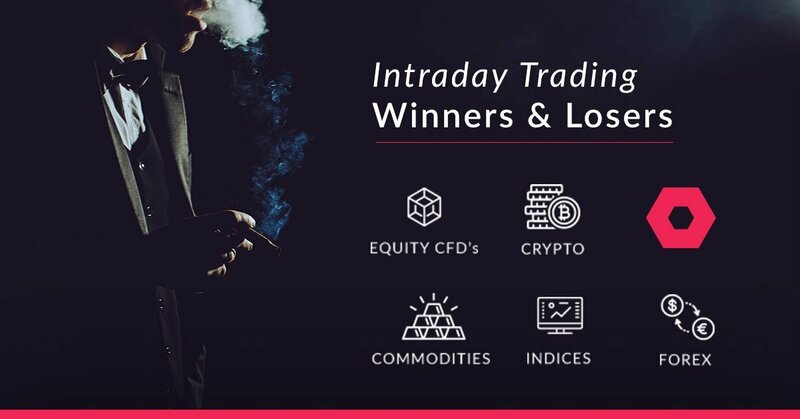 Retailers recouped some of the previous session’s losses as stocks such as Shoprite [JSE:SHP] gained 2.05% to close at R190.07, while Woolworths [JSE:WHL] picked up 1.64% to end the day at R50.25. Brait [JSE:BAT] slumped in today’s session as it lost 8.48% to close at R26.02. African Rainbow Investments [JSE:AIL] also came under considerable pressure it fell 4.55% to R5.25, while Delta Property Fund [JSE:DLT] pulled back by 4.7% to close at R4.26. Retailer, Mr Price [JSE:MRP] failed to get a reprieve as it lost another 3.21% to close at R208.97. Gold miners struggled due to the weaker metal commodity price, and as a result AngloGold Ashanti [JSE:ANG] dropped 3.54% to R169.91, while Harmony Gold [JSE:HAR] lost 3% to R24.27. At 17.00 CAT, Gold was down 0.67% at $1283.38/Oz, Platinum was down 1.41% at $798.92/Oz and Palladium had lost 1.96% to trade at $1372.05/Oz. Bitcoin was 0.57% at $3672.50/coin, while Ethereum was trading 0.36% higher at $122.54/coin.